1) The orang-utan is the world’s largest tree-dwelling animal. And it’s orange. Two reasons to love it. 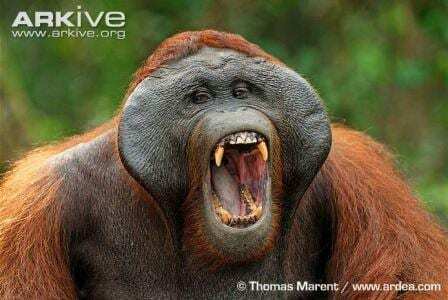 The word ‘orang-utan’ comes from the Malay language, and means ‘man of the forest’. 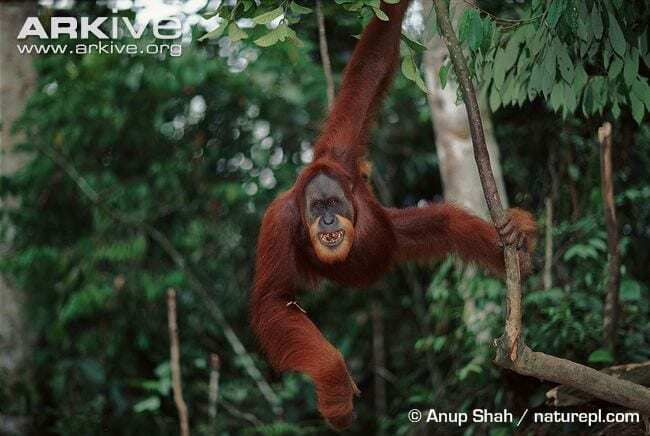 They have long flexible limbs and males can have an arm span of up to 2.2 m. Their long, curved fingers and toes are specially adapted for grasping branches, which is lucky given that orang-utans depend on their forest habitat for food, nests to sleep in, and travel. In fact, they rarely descend to the forest floor. 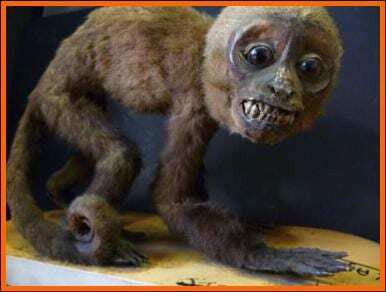 2) Evidence from the fossil record suggests that orang-utans were widespread across Southeast Asia, from Java in the south, up into Laos and southern China, between 1.8 million years and 11,500 years ago. Nowadays they are only found in Borneo and Sumatra. 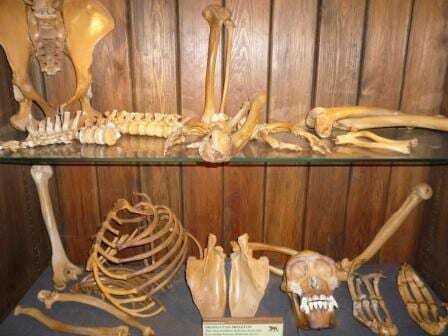 3) There are two species of orang-utan; Pongo pygmaeus which lives in Borneo and Pongo abelii which lives in Sumatra. The Sumatran orang-utan has a thinner face and a longer beard. Bornean orang-utans are slightly darker in colour and Bornean males have wider cheek pads. 4) There have also been some behavioural differences observed. Sumatran orang-utans tend to be more frugivorous. They have also been recorded using tools in the wild, whereas the Bornean orang-utan has not. 5) Unlike the majority of other primates, orang-utans are semi-solitary, the only groups being a female and her offspring. All other great ape species are gregarious and live in groups. Sumatran orang-utans are slightly more sociable than Bornean orang-utans but this seems to be correlated with the seasonal fruiting of the fig tree, a phenomenon that does not occur in Borneo. It may therefore just be an artifact of feeding with no significant social meaning.